We have the greatest volunteers! Without them, our Festival and all our other events quite simply would not succeed. And even though we already have a great group of people working with us, we are always looking for more volunteers who believe in family, community, and the power of story. 1) Before, during, and after the Festival begins, we need individuals and groups who are willing to work on a wide variety of projects and activities. These volunteer assignments are usually one-time opportunities of two to four hours and would work well for a group or family. 2) If you are interested in an opportunity to volunteer more than just at the Timpanogos Storytelling Festival, we can use your skills on year-round committees that work to organize all our storytelling events. Typically, we ask that these volunteers commit to spend anywhere from one to five hours each week throughout the year. click this button to fill out the form and to help us get to know you so we can match you with a volunteer opportunity. Your application will be sent to a member of the Timpanogos Storytelling Institute who will review your application and get in touch with you. So what are you waiting for? Come join us in promoting storytelling. Not only do we think it’s a great cause, we have a lot of fun and make wonderful new friends who love and understand the power of storytelling. Help customers find what they are looking for. Keep merchandise looking nice and restock when needed. Walk around the tent area straighten up, help with customers, and answer questions. The week of the festival is our busy time we work the whole week about 10 hours or more a day with setting up, and anything else that needs to be done. Our committee meets February – August at our monthly Festival meetings with everyone else and then we have a couple of meetings in August to price and count merchandise. And then we have a follow-up meeting after the festival to see how things went and what can we change for next year. We have about 4 extra meeting throughout the year mostly right before the festival. As a First Aid volunteer you are required to wear a walkie-talkie so you can be contacted if there is a First Aid need. You may sit at the First Aid Tent or wander the Festival (With a small first aid kit) keeping your eyes open for needs you can address. Some of the more common first aid issues include supplying bandaids, anti-sting medication for bee/wasp stings, and sometimes supplying Tylenol/Ibuprofen for pain relief. You are expected to know the basics of CPR and be able to use those skills if required. There is not much that needs to be done for the First Aid Committee year round. Greet the people to the festival. You will be one of the first to make an impression of how things can be done. Ask if they have been here before. Explain the layout for new patrons and help them get where they are going and assist with the scheduling if needed. If you need help with another cart, make sure you make that happen. When they are leaving, ask how their experience was and invite them back. Introduce performers (the emcee committee does not help in puppetry—which is fine). Clean area and straighten chairs after each performance. Scout for talent by attending events a couple times a year. Email to ask and confirm performers. Plan final schedule for performers times. Man the volunteer check-in desk during the Festival. Organize and track volunteers in every committee. Contact volunteers who fill out the form and figure out which committee they would like to be on. Please click on the button above to volunteer. Please describe any talents, experience, knowledge, or interests you have that may contribute to the Festival or other events. Affordability has always been a focus for any Timpanogos Storytelling event. This is especially important in our family-centered community where we have above-average family sizes and below-average family incomes. We at the Timpanogos Storytelling Institute are working hard to raise funds so that we can keep our Festival fees low. In order to help us achieve our goal, we rely on donations from individuals like you. With the continued support of individual donors and corporate sponsors, we can carry out our mission to use the power of story to strengthen individuals, families, and communities. 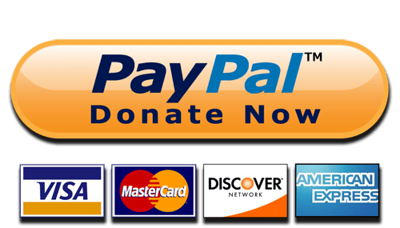 To submit your donation in behalf of the Timpanogos Storytelling Institute please click on the Paypal donate now button. Your donations are tax deductible and will be used with the greatest regard for the benefit of the community as we continue to share how story works in our lives. Any contribution makes a difference. Support the Timpanogos Storytelling Institute today. Timpanogos Storytelling events are always associated with quality. By including the Timpanogos Storytelling Institute in your charitable giving plan or marketing budget, you are not only enhancing your brand in the community, you are also ensuring that the Timpanogos Storytelling Institute will continue to bring the art and atmosphere of storytelling to Utah County which enriches our community, making it one of the best places to live, work and raise a family. We know you and your company sometimes have specific ideas about how you want to spend your charitable contributions and the benefits you would like to receive. Whether you are interested in promoting education, corporate recognition or employee appreciation, we have an opportunity for you. We would love to discuss how we can work together to meet your marketing objectives and add your support of the Timpanogos Storytelling Institute. We would love to welcome you to the Timpanogos Storytelling family as together we strive to enrich our community and learn more about the world around us. We know that when you have both influence and means, you can make a difference in the world. Please fill out the sponsor form and let us know how you would like to sponsor the Timpanogos Storytelling Institute. Your application will be reviewed by our sponsorship committee. You will be contacted so that we can craft a relationship that will be beneficial to your company. Join us in thanking our Festival and Conference sponsors—because ticket prices could never cover the cost of the Festival or Conference, our generous sponsors make it possible to host these world-renowned events! Organizations provide financial donations, goods, or services that make the Festival and Conference a reality. "In Kind" services will be reviewed by the TSI Sponsor Committee and must be approved by the TSI Board. *Submitting this form is not an automatic acceptance. The form will be reviewed by the TSI Board, and you will be contacted shortly. Thank you! Timpanogos Storytelling aims to provide high-quality, family-friendly entertainment and education. Please keep this in mind as you consider materials to submit to us. Regarding the Festival, we currently use an invitation method for scheduling storytellers rather than an audition process. Please fill out a request (see below) to be considered as a storyteller at Timp. The Festival is generally scheduled two to three years in advance. The best way for you to impress our programming committee is to have strong samples of your work for us to look at. We (working in Utah) cannot make it to most venues to hear and see someone perform, so strong audio and video samples for us to see goes a long way. Also knowing where you have performed previously and where you will be performing in the future helps as we discuss and make our decisions. Our puppeteer and musician slots are around a half an hour of performance time. These half hour breaks are between our one hour sessions of storytelling. By filling out this form you are requesting to be considered for one of these half hour slots. This is your opportunity to join other professional voices from near and far that have graced our stages. This contest is held during the Timpanogos Storytelling Festival and is a way for our audiences to meet new voices. Five finalists are picked each year and will compete during a Friday session at the Festival. With judges and Audience votes, the winner will then have the opportunity to share the stage with Donald Davis on Saturday. Workshop and Performance proposal submissions for the 2017 Conference, are due by December 31, 2016. The Conference will be held September 7, 2017 at Thanksgiving Point in Lehi, Utah. You can contact us using the information below or send us a suggestion or request by scrolling down to the online form at the bottom of the page. If you would like to feature an event on the Timpanogos Storytelling calendar page, click here to fill our our event submission form. Please submit event information at least two weeks prior to your event. "The world is hugged by the faithful arms of volunteers." "Because there is a natural storytelling urge in all human beings, even just a little nurturing of this impulse can bring about astonishing and delightful results." "We are genetically programmed to learn through stories. It's who we are. It's how we function." "Stories are how we think. They are how we make meaning of life." "We are story. It is an innate human capacity. It is one of the most powerful tools for making meaning." “Since it is so likely that children will meet cruel enemies, let them at least have heard of brave knights and heroic courage." “We all live in suspense, from day to day, from hour to hour; in other words, we are the hero of our own story." “People are hungry for stories. It’s part of our very being. Storytelling is a form of history, of immortality too. It goes from one generation to another." “There is no greater burden than carrying an untold story." “Stories have to be told or they die, and when they die, we can't remember who we are or why we're here." “Stories are the single most powerful weapon in a leader's arsenal." “The value of storytelling in our schools is self-evident. It enhances the teaching of language skills – including reading, writing, and especially oral expression."